Indonesia has a diverse culinary in worldwide. Almost all regions of the country has its own traditional food. 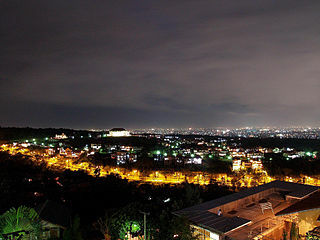 For among tourists from Jakarta, Bandung is renowned for its culinary delights and tasty. Tape Peuyeum, Kartika Sari Cake, Brownies Amanda, Tutug Oncom, Varian Pastel, dumplings, and Batagor are some popular foods famous in Bandung. Here are a few places to eat well and cheaply is popular in Bandung. This sausage house is located in Setiabudi. Upon entering and paying for tickets, travelers will be given a welcome drink a glass of fresh strawberry juice. The facilities provided by the Sausage House quite complete, such as a children’s pool are equipped with a variety of games and become a functioning shower water massage. Some games this place is also interesting to try. Just as the Flying Fox and Circuit ATV indoor and outdoor. Challenge outdoor ATV easier when compared with indoor as more obstacles. There are also games like throwing cans, bracelets, and darts, mini golf, soccer and shooting targets flying fox lottery tickets and ATV. Once satisfied to try to ride the game, now is the time for culinary tourism. Grilled sausage with an outer layer made from nori or seaweed to make dishes more delicious delights. In addition, the taste is quite varied sausages supplied as cheese, black pepper, and original. In addition to the restaurant, grilled sausages can be bought on the way to the pool. Soy Drinks is also a mainstay of this restaurant. drinks that have a variety of flavors can be purchased on the second floor. Raw sausage can also be purchased at the restaurant as a souvenir to take home. In addition to sausages, snacks are a delicious duo sold here like organic noodles, shredded cow, and others. All About Strawberry is located in Cihanjuang, Padalarang. The location of this garden is located on the edge of the highway. Once inside, the ticket can be exchanged for a glass of strawberry juice. After drinking the juice, tourists can go to the garden picking strawberries for a sweet strawberry. After being harvested, the results can be weighed and graded. Each one ounce of strawberries valued around Rp. 6000. In addition to harvesting strawberries, visitors can learn the cultivation of strawberries. Travelers can also purchase a Strawberry jams, and syrups in the garden. you can buy strawberry seeds are also here. In addition to learning about strawberries, visitors can learn about other plants. In the playground or outbound, children and adult visitors can try out a variety of rides such as wall climbing, flying fox, walking on the line, and a spider web. Travelers can also try the challenge raft to cross the pond using ropes and inflatable boats. Having tired of gardening and play, now is the time to enjoy the culinary at restaurants or shops available. foods commonly ordered by visitors like pizza, grilled sausage, cakwe, strawberry juice, ice cream, and European dishes are also other duo. Culinary atmosphere here is very comfortable and cool while sitting in outdoor and enjoy a meal while admiring the natural surroundings. Like the name of this place, De Ranch is an Indonesian ranch with American style. Most of the buildings here are made of wood and is similar to the ghetto cowboy. Once inside, visitors can exchange the ticket with a glass of fresh milk. Before attempting riding, tourists will eat vest and hat. The instructor will teach you how to ride a horse. You can also feel the caravan that will ride around the area around the dent. Rodeo rides are also available here. In addition, visitors can also learn how to milk a cow. Another game that travelers can try include a bike ride around the farm, flying fox, water balloons at the lake, playground, and a climbing wall. Travelers also can take shelter in the Indian camp located on the edge of the arena riding while boiling or burning corn in a stone fireplace. Restaurant of De Ranch provides a variety of traditional foods such as steak and cowboy country sausage. Souvenir shop located in the De Ranch also provides a variety of souvenirs to take home as a raw sausage, milk powder, socks, organic noodles, ornamental plants, and beautiful cactus.